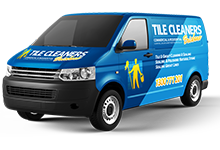 Tile Cleaners Brisbane® guarantee that we will restore the appearance of your stone tiles to the highest standard possible, contributing to a healthy indoor environment for you, and ultimately extending the life of the surfaces. Our policy is to give our customer the peace of mind that their stone tiles have been well looked after with the best treatment and products available. 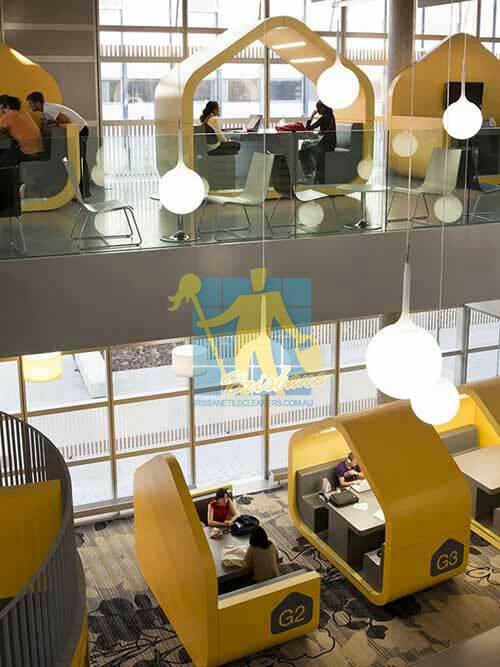 What we most enjoy about our work is providing customer satisfaction. Whatever your needs, we will find the best solution at a reasonable price; we will answer all your questions and guide you with our best maintenance tips. We specialise in the professional care and maintenance of almost all types of natural stone such as: marble, granite, limestone, sandstone, travertine, slate, Victorian tiles and bluestone, as well as ceramic, porcelain, terracotta and quarry tile. Most stone floors are actually quite porous and are prone to scratching, staining and fracturing. They also need to be allowed to breathe, instead of being covered by synthetic sealers or urethane. 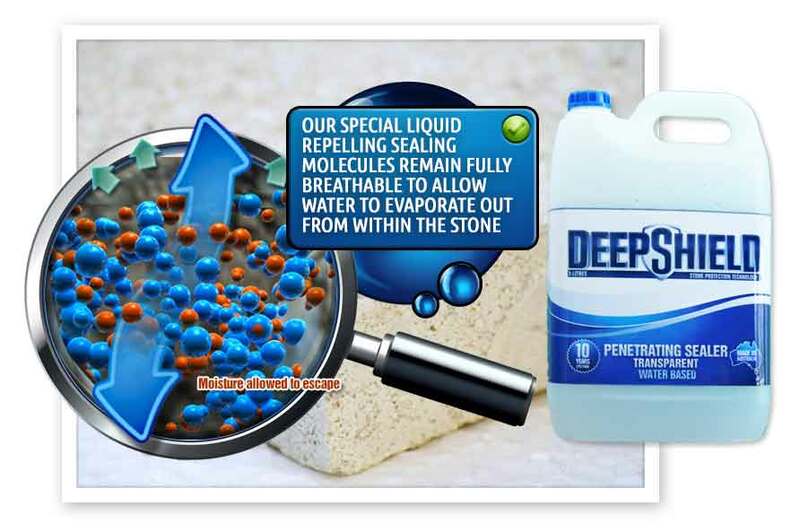 We offer the right solution to protect your stone by using highly penetrating impregnating sealers. The primary cause for polished stone floors becoming dull is walking on them. Prolonged foot traffic grinds and packs in dust, sand, and grit. Although the scratching that occurs is very fine, it eventually covers the majority of the surface and over time dulls the finish to the point where it loses its reflective properties. 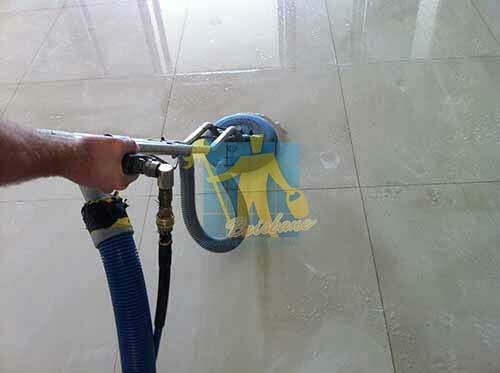 To make your stone surfaces smooth and reflective, we employ the use of high speed polishers. 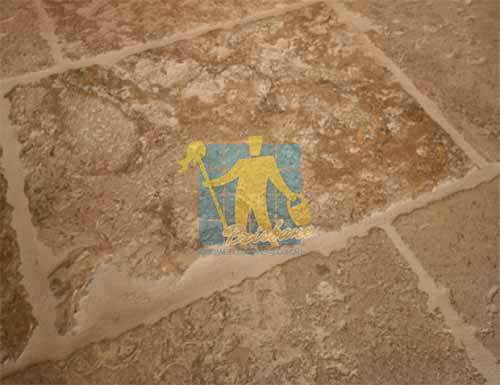 Many older buildings have durable limestone flooring, the chalky porous type with a smooth granular surface typical of most French and Spanish limestone. This variety does stain easier than marble, varies in hardness and does become etched by acids including soft drink, as well as absorbs oils and other liquids. Common colours are black, grey, white, yellow and brown. 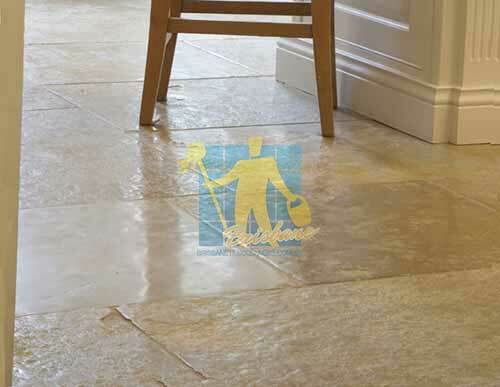 Limestone should be sealed with a penetrating sealer to prevent staining and reduce soiling and should only be cleaned with neutral pH detergents. 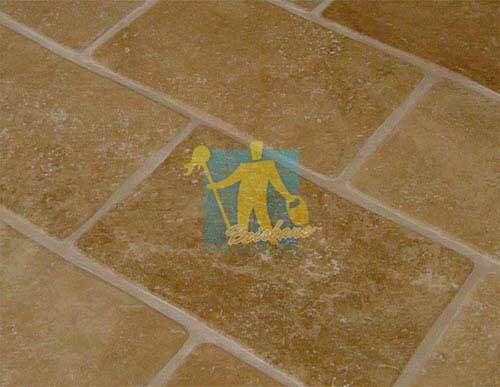 Because it is soft, limestone should never be cleaned at pressures above 800 PSI and then only if the grout is in good condition. Professional regular maintenance will be required to maintain the honed or polished appearance of limestone. 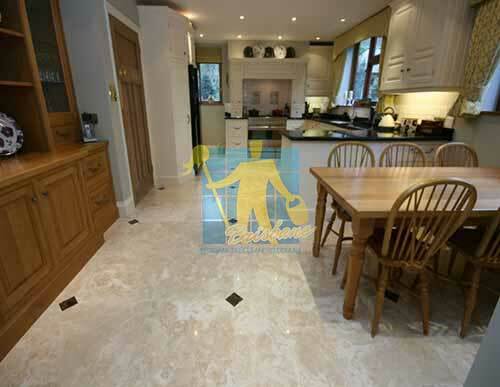 Limestone looks best with a honed or low/medium sheen appearance however some people insist on a high shine finish. Some low calcite limestone can be extremely difficult to polish and therefore vitrification would be required, vitrification however can give the stone an unnatural plastic appearance if repeated too often. Remembering that stone tiles are produced in nature, their colour and general appearance may vary greatly. This makes stone tile quite unique and beautiful when installed correctly. Each stone type and its composition have characteristics that need to be considered for each application. For example, some stone is soft and easily abraded. There are types of stone tiles that are easily attacked by common household acids. Finally, there are very hard stone types virtually impervious to these same problems. MARBLE: Flooring, Fireplaces, Vanities, and Shower/Tub surrounds. Note: Black and green marble require special setting material due to their tendency to curl and wrap when absorbing water. 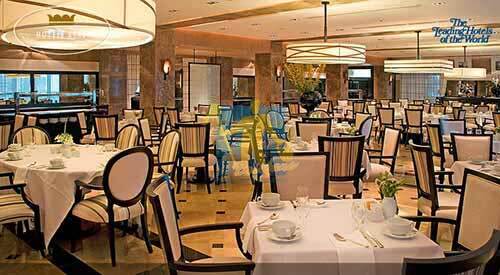 Polished marble is not recommended in food preparation areas or any areas where contact with acids bearing substances are present. Acid even in small amounts will etch and dull the polish. This includes bathrooms below toilets and urinals where the marble will remain unprotected by mats, etc. The exception for marble in the food preparation areas would involve the use of "tumbled" marble where there is not a polished surface for the acid to etch. Keep in mind that polished marble is very slick when wet. GRANITE: (Basically on any surface). Flooring, Vanities, Kitchen counters, Fireplaces, Shower/Tub surrounds. Keep in mind that polished granite is very slick when wet. Penetrative and or sacrificial sealing recommended. TRAVERTINE: Flooring, Fireplaces, and Vanities. This type of stone, in polished form is sensitive to acidic attack like marble, so it would not be recommended for food service areas or where acid bearing substances are present. The exception would be in a “tumbled” form where no polished surface is present to be etched. Polished travertine is very slick when wet. QUARTZ BASED: Flooring, Fireplaces, Bar tops, Vanities, Shower/Tub surrounds. Very similar to slate in that flaking and chipping will occur especially in the un-gauged variety. May not be suitable in areas where bare feet may be present due to chipping and flaking. This variety of stone is commonly stabilised into agglomerates with cementatious or epoxy based resins to produce slabs and tile shapes. In this form, the manufacturer will make recommendations for its use. Penetrative and or sacrificial sealing is recommended. SLATE: Flooring, Fireplaces, Bar tops, Vanities, Shower/Tub surrounds. maintenance problematic. Design and job requirements will have to reflect these inherent qualities. All porous natural stone should be sealed. Sealing your stone will help prevent & reduce staining by keeping most stains suspended at the surface. Sealing provides protection against chemical attack, deterioration and contamination and also reduces the damage caused from the stain itself. Natural stone is amongst the most durable materials for floor and wall coverings, also boasting some of the lowest abrasion values. For non-porous tiles you should usually only need to seal the grout lines with our specialised impregnating penetrating sealer. Our services cover all suburbs within 100km drive from the CBD. We are your specialist service provider for stone sealing, stone restoration, and minor stone repairs. If you need advice on cleaning & sealing your old or brand new stone surfaces or need a professional to do it for you, then you have come to the right place. What Exactly Is A Sealer? 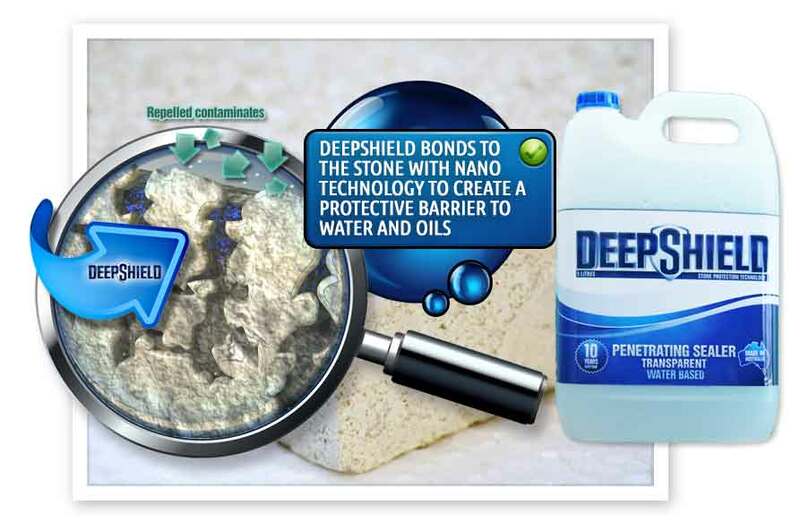 You can easily test how porous your surfaces are by applying a drop of water to the surface and watching how it is absorbed. You can then see how any type of water based stain can be absorbed by the surface. Why should I have my stone tiles sealed? 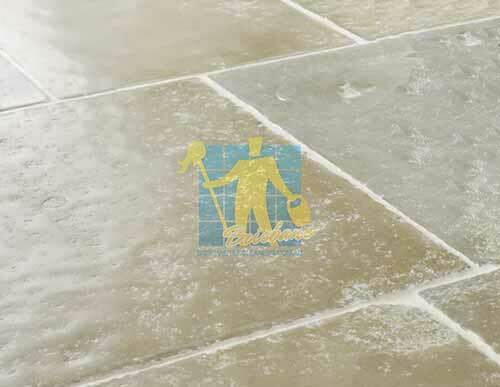 A sealer reduces the natural absorbency of a stone. A natural stone surface once prepared and sealed correctly can add a great deal of style to your property and give it a real feature relative to your desired look whether that is modern and contemporary or more traditional. 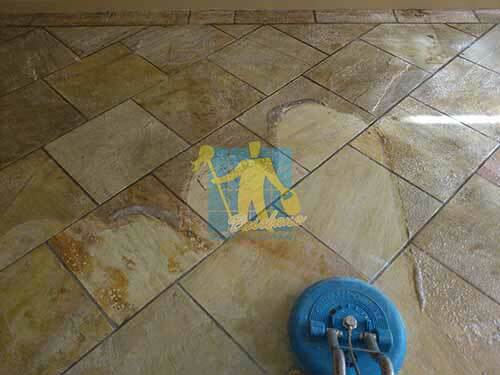 Sealing your tiles and/or grout helps prevent & reduce staining. It provides a barrier for a short time to remove the staining product and helps reduce the damage caused from the stain itself. 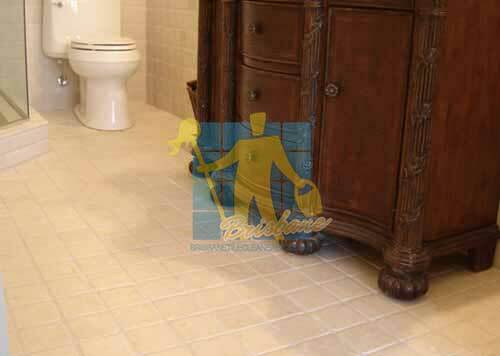 Staining can still occur if the staining product is not removed from the tile. 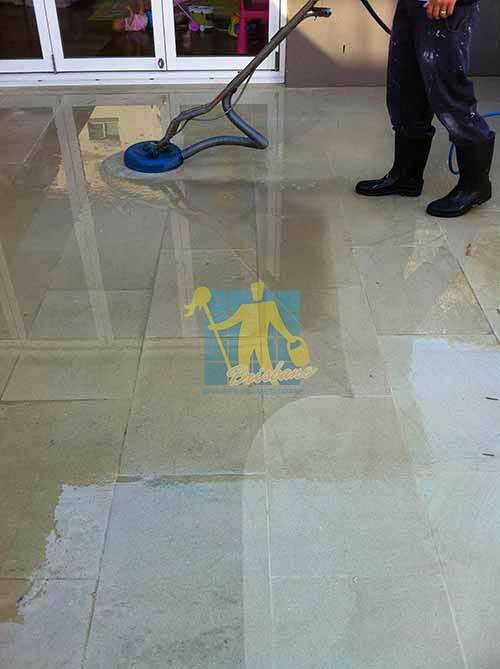 Tile Cleaners Brisbane® use two main types of sealer to protect your surfaces. 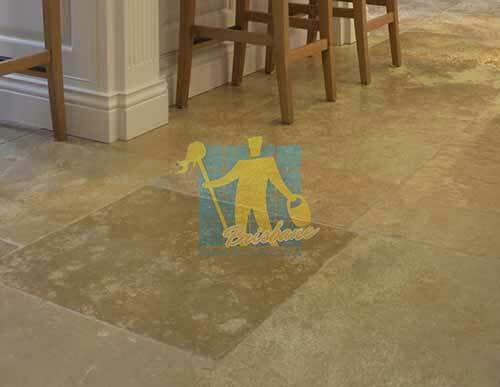 One sealer is known as an Impregnating Sealer(Penetrating Sealer) which is absorbed into the tile protecting it from within and the other is known as a Topical Sealer which sits on top of(coats) the tile. 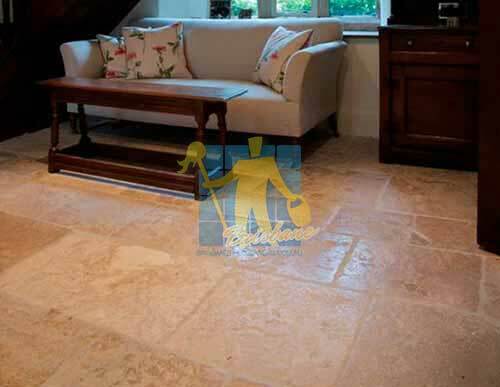 Do clean your natural stone frequently with warm water and a clean, non-abrasive cloth sponge or mop. Do use a neutral cleaner formulated for natural stone or a few drops of liquid dishwashing detergent, will help you remove soil, that normal dusting or damp mopping leaves behind. Does use felt pads underneath the furniture that is likely to scratch the floor such tables, chairs. Do use mats or trivets under hot dishes. Do keep kitchen countertops and vanities dust free. Do dry or squeegee water from shower walls following each use. This will prevent hard water or soap scum build-up. Do not place hot items directly on the stone surface. Use trivets or mats under hot dishes and place-mats under china, ceramics, silver or other objects that can scratch the surface. Don't use powder cleaners, or cream cleansers, mildew removers or disinfectants, or abrasive nylon scrub pads, as they can easily etch your stone. Don't use general-purpose cleaners such as Ajax, Harpic as they may damage your stone surface, and the effectiveness of your sealer. Don't use cork and wood furniture protectors. These can cause severe stains. Don't place for a long time any metal object on top of a stone surface, especially in bathrooms, as it is very likely that would leave a rust stain. The natural variations on your stone surface can easily lose their appealing qualities, due to damage resulting from everyday wear and tear. 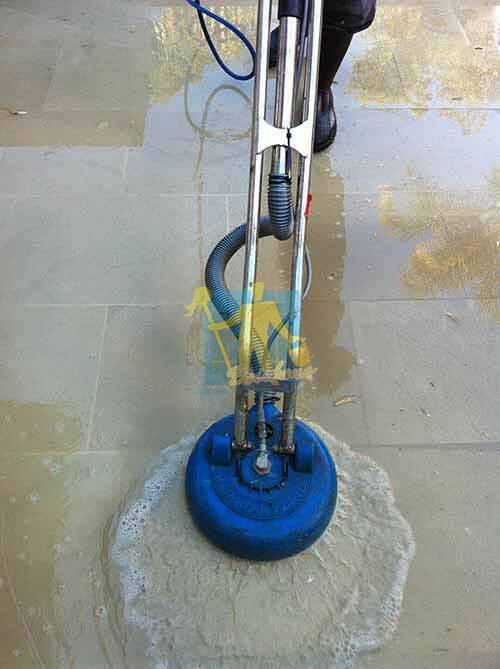 Natural Stone is absorbent and has a mineral chemistry that can react in strange ways to conventional cleaners, making the proper selection of cleaners is essential for daily basis maintenance of your natural stone surface. Some variation of stones can absorb liquids and oils causing discolouration. Having your stone treated with a penetrating impregnating sealer can diminish this. It is recommended that a sealer is applied every year, and that the floor is fully stripped and sealed by a professional once every 3-5 years depending on the type of stone its made from. 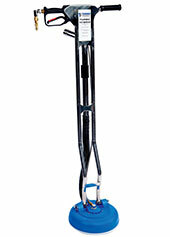 Dust-mop interior floors frequently using a clean non-treated dry dust mop. Sand dirt and grit do the most damage to natural stone surfaces due to their abrasiveness. Mats or area rugs inside and outside an entrance will help to minimise the sand, dirt and grit that will scratch the stone floor. Be sure that the underside of the mat or rug is a non-slip surface. Normally, it will take a person about eight steps on a floor surface to remove sand or dirt from the bottom of their shoes. Do not use vacuum cleaners that are worn. The metal or plastic attachments or the wheels may scratch the surface. 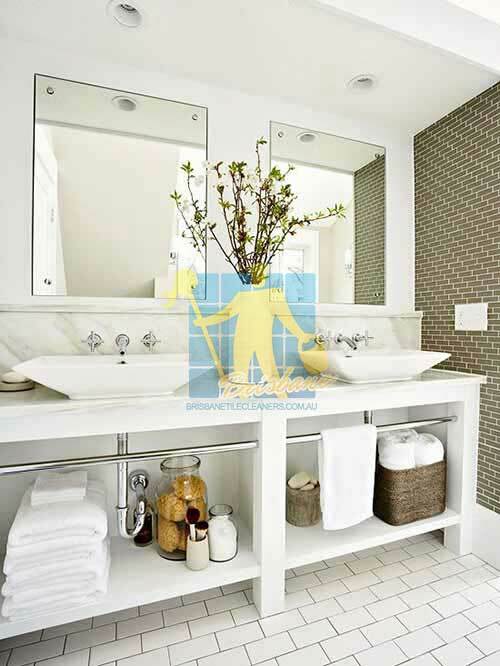 In the bath or other wet areas, soap scum can be minimized by using a squeegee after each use. To remove soap scum, use a non-acidic soap scum remover or a solution of ammonia and water (about 1/2 cup ammonia to a gallon of water). Frequent or over-use of an ammonia solution may eventually dull the surface of the stone. You need to have a penetrating sealer applied. Hard water or soap scum may damage the lustre of your natural stone. 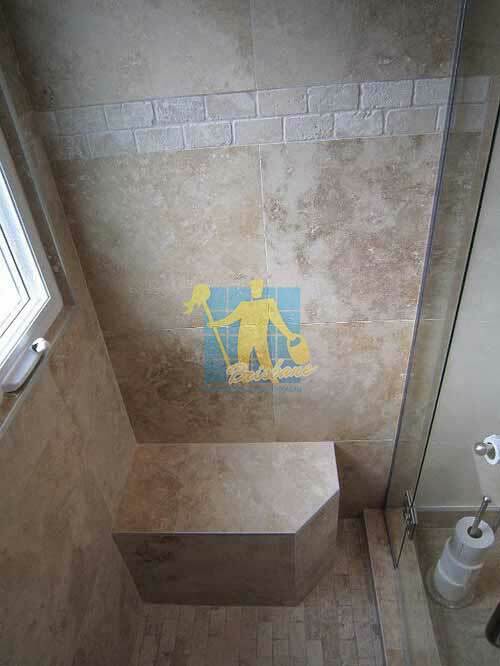 For tile shower or floor, we suggest having your grout cleaned and sealed periodically to prevent mildew. 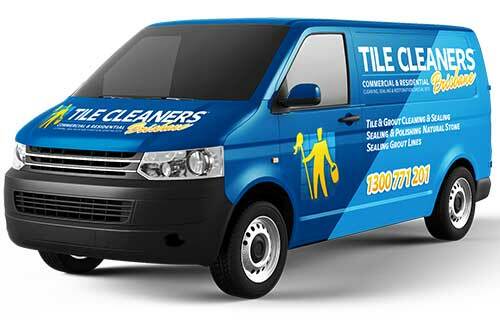 Q: What different types of tiles do Tile Cleaners Brisbane® clean? Q: My front door pavers look dull and discoloured. Can you help restore their natural fresh look? Q: Is it safe to have my tiles cleaned? Q: Are your cleaning products toxic? Q: What can I do to keep my stone tiles looking new? Q: There is a stain on my stone floor. Can you remove it? Q: How will you charge me for cleaning my stone tiles? Q: How do I measure the size of the stone area? Q: Will Tile Cleaners Brisbane® help me move my furniture? Q: What should I do to prepare for the stone cleaning? Q: Does sealing make my stone or stone maintenance free? Q: Why should I clean my stone surface? Q: Why should I seal my stone surface and when? Q: How often should I re-seal? Q: How can I tell if my stone surface is sealed? Q: Will sealing my pavers or stone stop algae growth? Q: My polished marble / limestone / travertine is sealed but still has marks - why? Q: What guarantee do you offer with tile sealing? Q: What products do you use? Q: How do I maintain my floors after they have been cleaned / sealed? 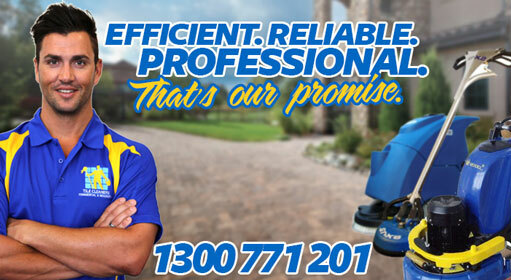 Q: Will Tile Cleaners Brisbane® make my floors look like new again? Q: The tile supplier said to seal my porcelain but my tiler said not to - why?